Star Wars Darth Vader Stocking Holder | Nerd Much? Another day, another Star Wars x Christmas mash-up. Every day from now until the holiday season ends, we are scouring the web for the latest nerdy Christmas stuff that we think our readers might want. And while doing so, the most common nerdy franchise we’re seeing get its own Christmas-themed stuff is Star Wars — obviously, it’s the quintessential sci-fi nerd thing to do. So we’ve found yet another great Star Wars x Christmas thing: the Star Wars Darth Vader Stocking Holder. 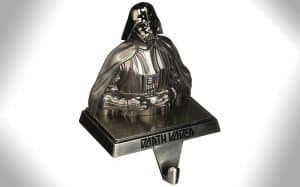 It’s an all-metal, officially-licensed Star Wars Christmas stocking holder that measures roughly 5.9 inches in height, featuring Lord Vader. On the front of the stocking holder, it reads “Darth Vader”. It weighs 1.9 pounds, enough to stay in place while holding your stocking filled with Santa’s goodies. It’s available right now on Amazon, so if you’re starting to get into the holiday spirit and you’re looking for some Star Wars Christmas gift ideas, go pick one up. If you’re really in the holiday mood, check out our roundup of all of the Christmas movies on TV this year. 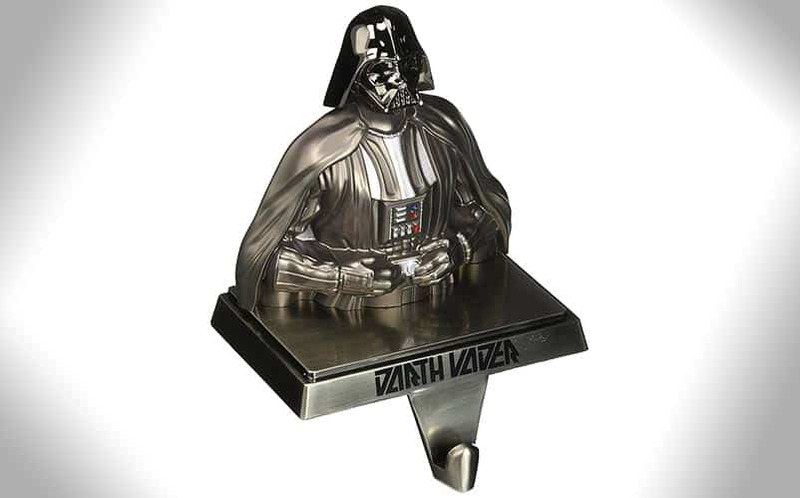 Buy the Darth Vader Stocking Holder here. For more cool Star Wars Christmas decorations, stay tuned to Nerd Much?.